As you may have heard in the news I spent this week in Ireland as part of the Apostolic Visitation ordered by the Holy Father. 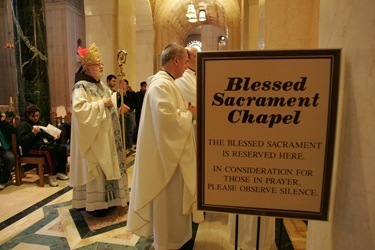 Because of that commitment I could not attend the Fall Meeting of the U.S. Conference of Catholic Bishops that took place this week in Baltimore. 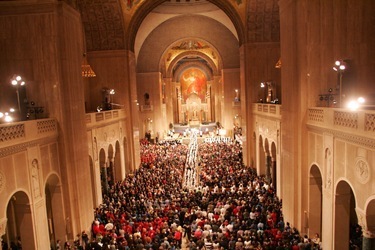 Even though I could not be there in person, I want to take this opportunity to thank Cardinal George for his leadership of the Conference during these past three years and congratulate Archbishop Dolan and Bishop Kurtz who were elected president and vice-president of the Conference at the meeting. I am very grateful to the Archbishop for his gracious invitation to participate in this Eucharist celebrated at St. Mary’s Pro-Cathedral, commemorating the feast of your founding bishop, St. Laurence O’Toole. My first visit to this beautiful church was as a young seminarian in 1963. I was in Dublin at the time of the visit of John F. Kennedy to Ireland. I am honored to be here again, this time representing our Holy Father Pope Benedict as Apostolic Visitator to this great and historic Archdiocese. My family left these shores for America in the difficult decades after the Famine, the Reidys from County Clare and the O’Malleys from Mayo. My mother’s family came first, it was an arduous voyage from Ireland to Montreal. The only vestiges of that journey that our family still treasures are a two volume History of Ireland by the Abbé MacGeoghegan and a beautiful statue of the Sacred Heart of Jesus that accompanied our ancestors in that crossing. What they did not leave behind was their Catholic faith and their great love for Ireland. I was raised with both. And it is with that same love for the Irish people that I come to this Visitation. I have come to listen, not to offer a quick fix. I come to listen to your pain, your anger, but also your hopes and aspirations. Pope Benedict in his letter to the Church in Ireland this past March expressed his deep sorrow and regret over the sexual abuse of children perpetrated by priests and religious and over the inadequate way in which such cases were often responded to in the past. The Holy Father envisions this as a pastoral visit to assist the Church here on the path to renewal. In Dublin much has been done already to address the crimes of the past and to develop sound policies to ensure the safety of children and to provide assistance to the victims of child abuse. 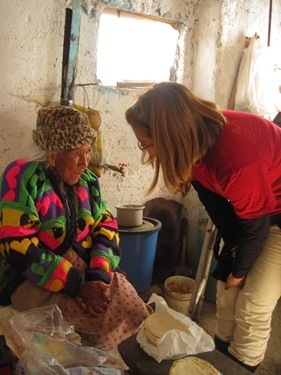 The task of the Visitation is to bring new eyes to the situation, to verify the effectiveness of the present processes used in responding to cases of abuse. We are not here to reduplicate investigations or studies of the past. We are here to be available to meet with some of those who have been harmed by abuse and wish to meet with us. We will attempt to communicate to them the apologies of a contrite Church and the pastoral solicitude of the Holy Father. Likewise, we will try to assess how well the guidelines of Safeguarding Children, produced by the National Board, are working. We look forward to meeting with as many as possible from the victims themselves, the bishops, the priests and religious and the laity of the Archdiocese, knowing that the crisis of the sexual abuse of minors has profound repercussions in the life of the entire community. Because the viewpoint of the clergy and laity are so crucial, I have asked Ms. Barbara Thorp, Fr. John Connolly and Mr. Thomas Hannigan to accompany me and assist in this Visitation. They have been invaluable collaborators in Boston, and I am certain their experience will be very helpful to me during this Visitation. Anyone who wishes to share their testimony can contact me through the Apostolic Nunciature here in Dublin, to request an appointment, or submit their thoughts in written form, also through the Nunciature. I shall return early next year to continue this important work. Please pray that this Visitation will be helpful to the people of Ireland, will advance the safety of children in society as a whole and promote the healing and reconciliation that we all desire. 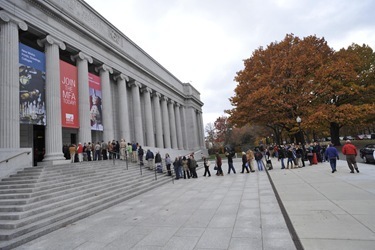 Before I left for Ireland, I had the chance to attend the opening ceremony of the new Art of the Americas wing of the Museum of Fine Arts in Boston on Friday. As you can see from the photos, the new facility is just stunning. 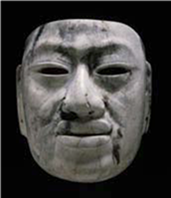 There are over 50 galleries and thousands of works of art of all types from North and South America. 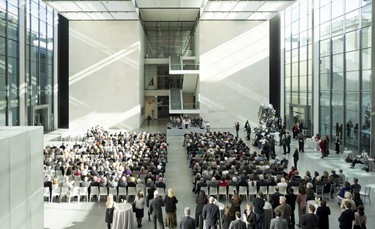 The new wing is connected to the main building by a beautiful glass-enclosed courtyard that they hope will make the MFA a wonderful meeting place for people. 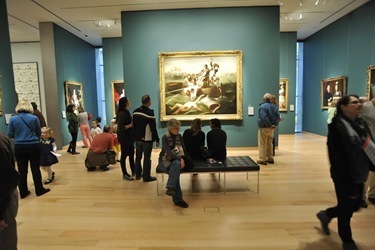 I know one of the goals of the expansion was to make the museum feel more welcoming to the public, and they have certainly succeeded at that. 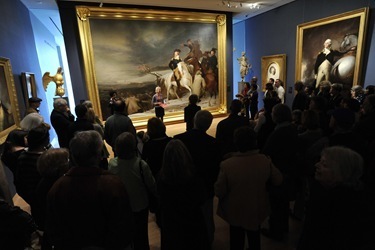 The exhibits are arranged chronologically, beginning with the oldest works on the lower floor, and includes some of the most iconic works in the museum. 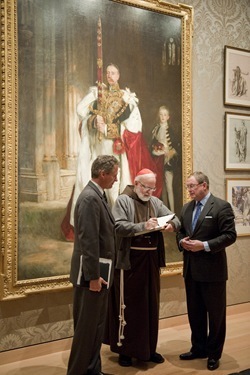 We even spoke of loaning some of the unique artwork we have in the archdiocese to be put on display. 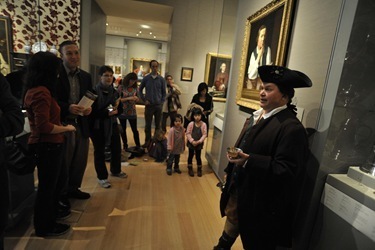 Malcolm Rogers, director of the MFA, gave us a very gracious welcome. 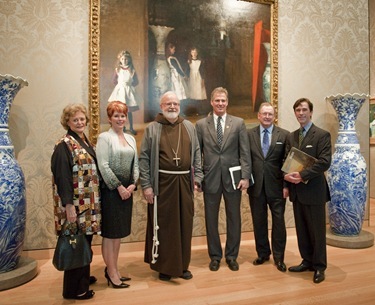 I was also happy to see Senator Scott Brown and our good friends JoAnn McGrath and Penny Vinik who, in addition to their wonderful support of the museum, are also extraordinary benefactors for the archdiocese. With JoAnn McGrath, Penny Vinik, Senator Brown, Malcolm Rogers and Damien DeVasto from our staff. The painting behind us is one of the most well known in the museum, “The Daughters of Edward Darley Boit” by John Singer Sargent. Unfortunately, we only had time for a brief visit. I look forward to having the opportunity to come back to see the full extent of the collection. 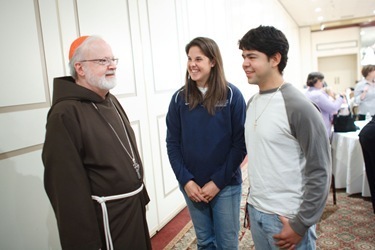 This week, I have asked Father Matt Williams, head of our Office for the New Evangelization of Youth and Young Adults to write a guest post on the work of his office. They are very active in developing programs and activities to reach out to our young people. 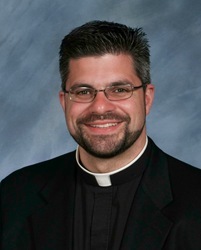 Hello Everyone, Father Matt Williams here from the Office for the New Evangelization of Youth and Young Adults (ONE). 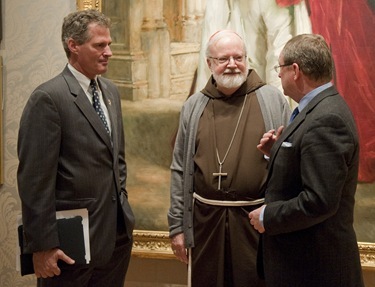 I would like to thank Cardinal Seán for the invitation to write for this week’s blog. I would like to begin with some very exciting news from ONE. This week we are launching a brand new website. We hope that this website will be a source of blessing for our young people and those who serve them. Please check it out. 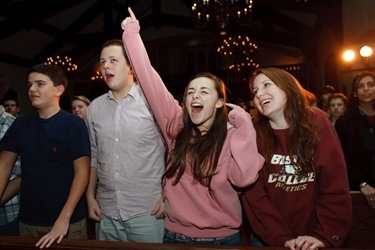 For the past two and a half years, the team of ONE has had the privilege of meeting and serving a number of the youth, young adults and their leaders in the Archdiocese of Boston. 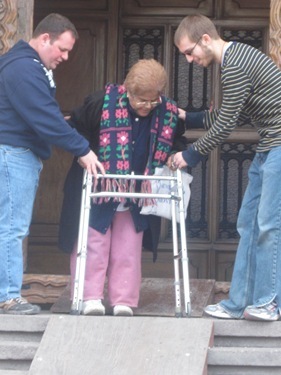 We have been inspired by the faith and spirit of service that is alive and present in so many parts of the archdiocese. 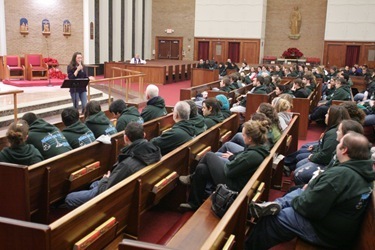 In speaking with many of my brother priests, many of them have expressed a desire to expand their outreach and formation to the youth and young adults of their parishes. 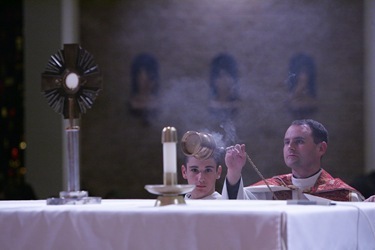 The problem is that they are over stretched with many demands, do not have a parochial vicar to share the priestly responsibilities with, and lack some of the important resources needed to meet this desperate need (i.e. funding, staffing, etc.). 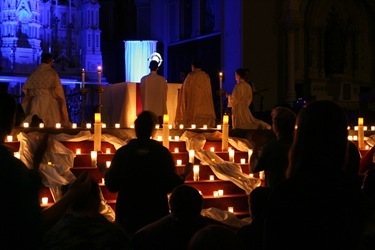 You have a gift to give to the young people of your parish community. 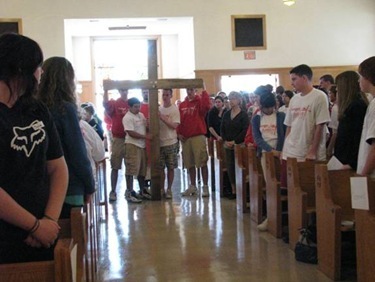 One of the traps we all fall into is that we think we have to be like a youth minister to be involved in the pastoral care of young people in our parishes. BUT nothing could be further from the truth. If you look at your average family, you have a mom and dad, siblings, aunts and uncles, cousins, friends, etc. 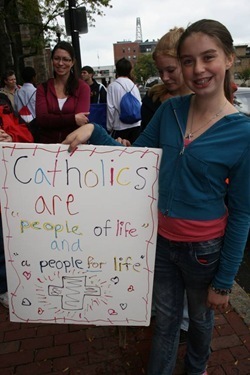 Our parish family, though not a replacement of the family, is a community of life and love for our young people. Everyone has a gift to give: whether directly or indirectly, through your prayers, time, talents, presence and hospitality. 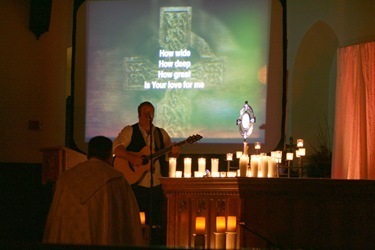 The greatest resources for youth ministry in our parishes is the community of believers gathered each Sunday for worship. You are part of the family of the Church that has such a tremendous gift and opportunity to help form disciples of Jesus Christ and His Church. We know the fragility of family life with many of our youth and young adults coming from family situations that are less than ideal. Many of them are searching for meaning, love and purpose in their lives. Many are questioning what it means to be part of a family, what it means to be a mother or father, husband or wife. Our parishes have such a tremendous gift to offer with all of the families and couples who make up the community of believers. What a resource for our young people! What a gift to be given and received!!! Multiple times each day I pray to the Lord that he would raise up men and women who will not be afraid to step out into the deep in seeking to mentor young people in the faith. 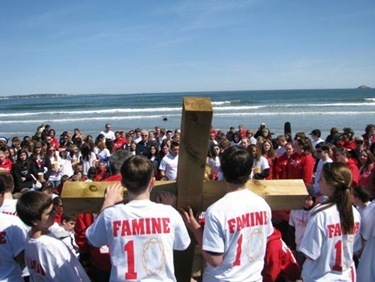 I ask that you would join me in this task, in praying that the Lord will inspire our brothers and sisters in our parishes to make service to their youth and young adults a priority. 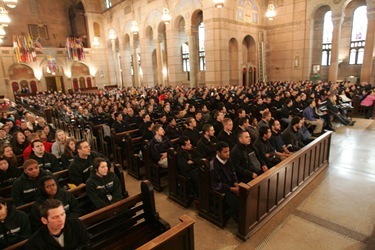 Pray for the youth and young adults of the Church. Smile, help make our young people feel welcome. Prayerfully discern how the Lord is calling us to be part of this mission. Speak with our pastors and tell him how we would like to share our gifts. For those who are interested in rolling up their sleeves and getting involved in youth ministry, we offer a Basic Skills in Youth Ministry Course. 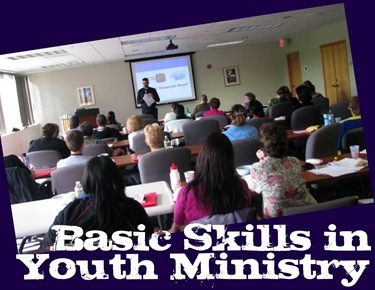 Basic Skills in Youth Ministry is for every leader or volunteer, working in any capacity, in any ministry, primarily with middle school and/or high school youth. 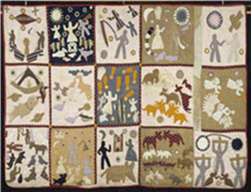 Basic Skills is designed to be a thorough introduction to working with youth by looking at its history and models; supporting Church documents; adolescent development, youth culture and generational theory; designing and planning programs; creating and evaluating teams; managing group dynamics; and effective practices. The knowledge and skills taught will also be helpful to other ministries and settings. Our Basic Skills Course will be offered on March 5, 2011. For More information please contact Kathy Stebbins at KStebbins@rcab.org. 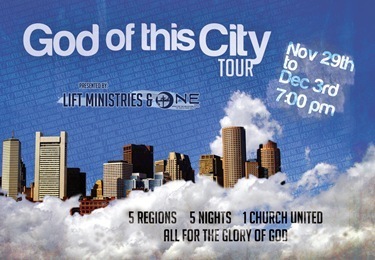 I am excited to announce that coming this Advent is our 2nd Annual God of this City Tour. 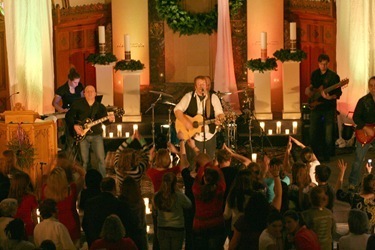 The Office for the New Evangelization (ONE), in partnership with Lift Ministries (www.Liftedhigher.com), will be traveling to all five regions of the archdiocese over the course of five consecutive nights. 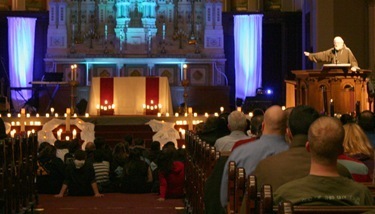 The weeklong event will culminate at the Cathedral of the Holy Cross with Cardinal Seán. 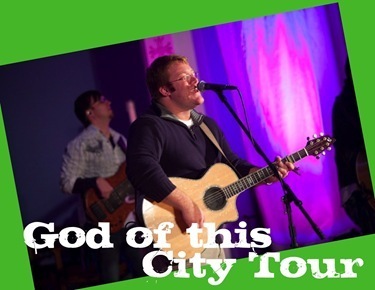 The God of this City Tour flows from a belief that young people (youth and young adults) are “a special gift” who have the power to change and shape the future (Novo Millennio Inuente, 9). 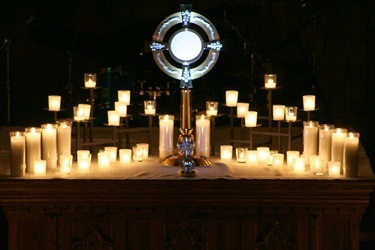 The gift that they are, and the gift that they bring to the life of the Church, is desperately needed today! There is great power in prayer, and we hope that this gathering will not only empower our young people with the love of Jesus Christ, but that all of us will be renewed and inspired to live more intentionally our call to be witnesses to that love. 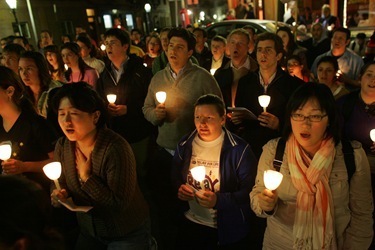 A few days before the GOTC Tour, we will be joining Cardinal Seán at the Cathedral of the Holy Cross for a Prayer Vigil for All Nascent Human Life on November 27, 2010 at 4:00pm. 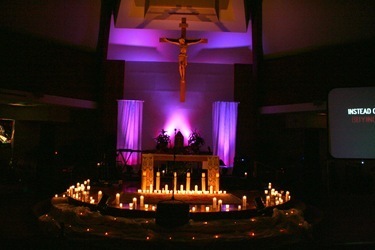 The Holy Father has called upon the Church to begin the Season of Advent in prayer for the sanctity of human life. All are welcome to attend. 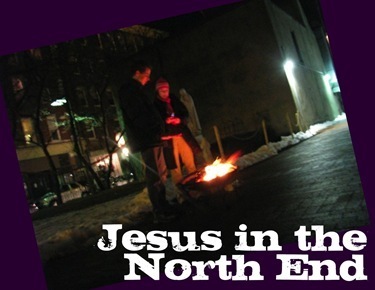 On November 19 and December 17 we will be at St. Leonard’s in the North End for our monthly “Jesus in the North End” gathering. 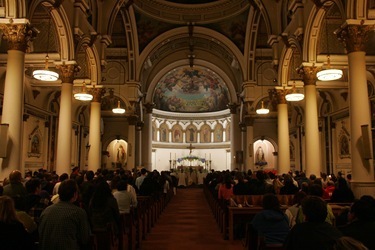 Inspired by experiences at Piazza Navona in Italy, this young adult gathering has two goals: provide young adults with a great night of prayer and fellowship (Eucharistic Adoration, Confession, Holy Mass and an organized social); and outreach to visitors in the North End through invitation to come inside the beautiful Church and say a prayer. Many people have been blessed by this experience. 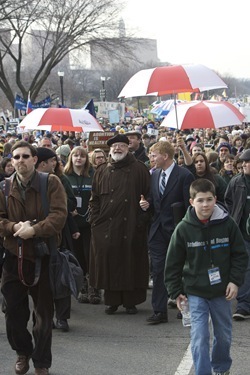 This January we will once again accompany Cardinal Seán to Washington DC for the annual March for Life. 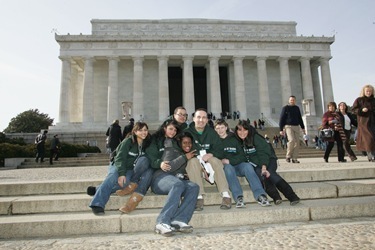 This event is one of the nation’s largest gatherings of young people. and to become an advocate for the unborn. 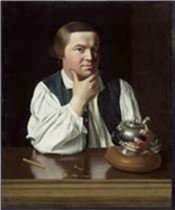 For more information please contact Kathy Stebbins (KStebbins@rcab.org or 617-746-5811) or Danielle Olsen (DOlsen@rcab.org or 617-746-5750). In the midst of all the upcoming events, I would like to get the word out about what I think are two of the best programs that we offer for our young people: Witness to Truth and Witness to Hope. 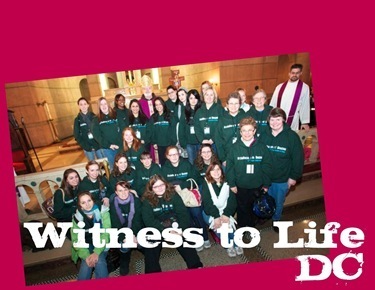 Witness to Truth is a dynamic overnight leadership institute designed for Roman Catholic high schoolers who have completed grades 9, 10, 11 or 12. 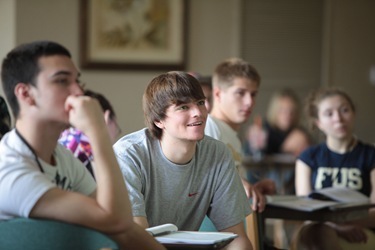 It utilizes interactive workshops, large group experiential learning activities, and small group processing. Spiritual disciplines are encouraged and practiced through prayer, the sacraments, and looking at the varied leadership styles of saints. 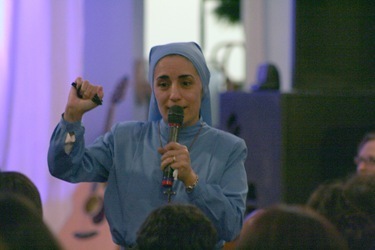 The result is that each participant deepens their own faith, knowledge, and skills in order to become a greater leader and witness to truth back in their home, parish, school, and community. 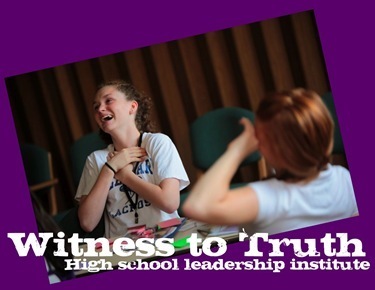 Our Witness to Truth High School Leadership Institute will be June 27-July 1, 2011 (overnight) at the Marist House in Framingham. 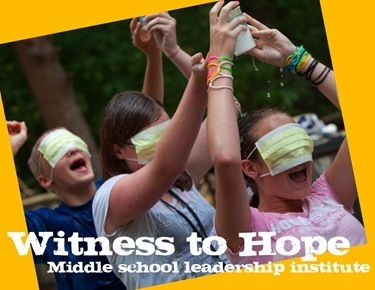 Witness to Hope is an exciting overnight leadership institute specially designed for Roman Catholic Middle Schoolers who have just completed grades 6, 7 or 8. We use a very high-energy interactive workshop model that utilizes multiple learning styles and develops the skills required for various forms of leadership and peer ministry. 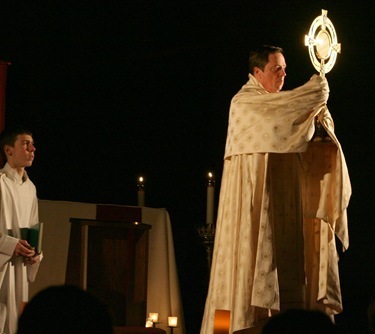 The entire time is surrounded by the Sacraments and different prayer experiences that will feed, encourage, and equip the young people for Catholic leadership. 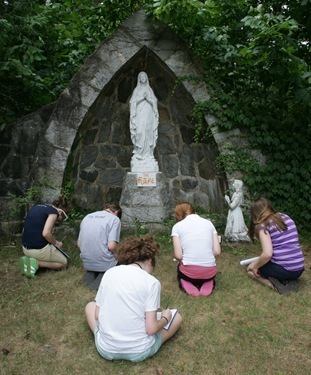 Our Witness to Hope Middle School Leadership Institute will be July 14 -17, 2011 (overnight) at St. Thecla’s Retreat House, Billerica. Putting our faith into action is an essential component to living the call to Christian discipleship. ONE has been in the process of researching and writing a solid curriculum of mission and service for high schoolers and middle schoolers. We believe it is important for us to create multiple levels within a curriculum that serves both as an outreach service opportunity for some and as a missionary experience for others. We are currently working on a response to the crisis in Haiti and will be rolling out a plan for our youth to get involved. As basketball season approaches, many of our parishes and Catholic grammar schools are getting ready to launch their CYO Basketball programs. 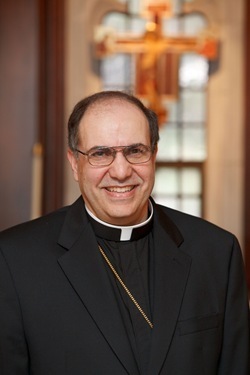 We are looking forward to December 5 as we will all gather at the Cathedral of the Holy Cross with Bishop Peter Uglietto for Holy Mass to inaugurate the CYO Season. This past week I had the privilege of serving as chaplain in the new Archdiocesan Marriage Preparation Program – “Transformed in Love.” It was awesome!!!!! I highly encourage you to learn more about this powerful program and to recommend it to engaged couples. The program is brilliantly designed to meet couples exactly where they are at, given all of the struggles and complexities that most young adults experience, both in their own individual lives and in their relationship with the Lord and His Church. 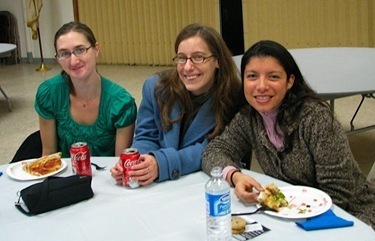 I can personally attest to the reality that this program did have a profound impact on many of the couples who attended. We know that the future of our Church depends on strong families. We pray that through the power of the Holy Spirit, programs like “Transformed in Love” will be well received and utilized for the rebuilding of the Church in Boston. 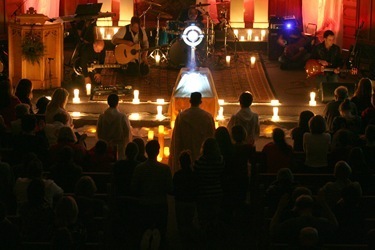 There is still room for youth and young adults to join us. Please contact Kathy Stebbins (KStebbins@rcab.org) for more information. 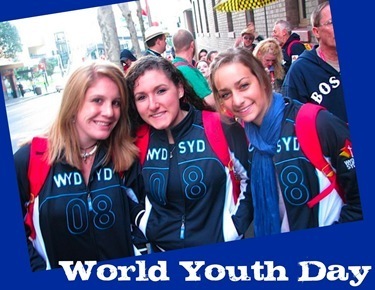 Teenagers can still register for the “Archdiocesan Catch-All Group” here and represent your parish in Madrid. Well that is all for now. I’d like to thank Cardinal Seán again for inviting me to write for this week’s blog. 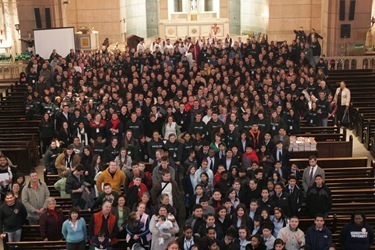 I kindly ask if you could keep all of the young people of the archdiocese in your prayers, especially those whom the Lord has called to serve them.